Comments: A extremely long lived, columnar tree that may live up to a 1,000 years. 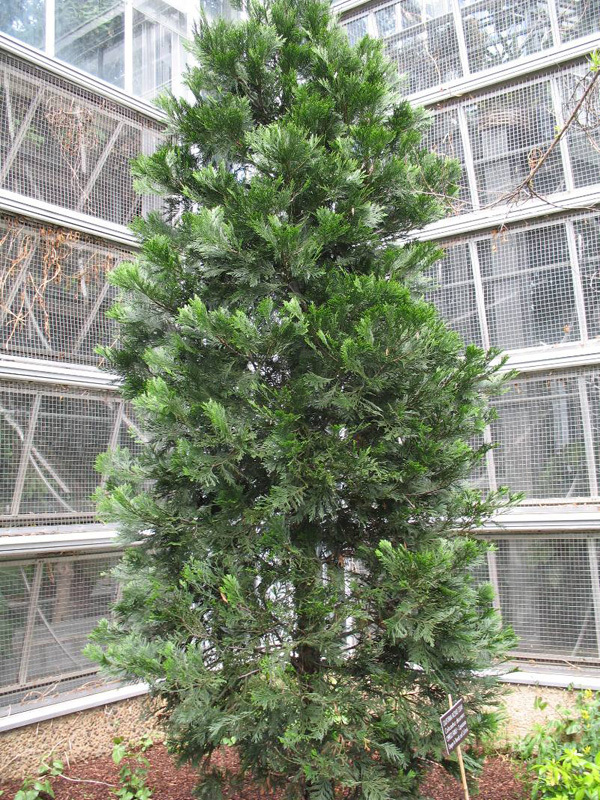 Slowly grows up to 70 tall, yet only around 10 feet or smaller in width at maturity. Ideal for use in screens or hedges where little horizonal space is available. Has high tolerance to drought high temperature and aerosol salts.